Google announced a lot of neat things at Google I/O last week, but the most news worthy item, in my opinion, has by far been Google Photos. The app/service is stunning for its ability to not only store all of your photos and videos for free, but also for creating animated GIFs, highlight videos, collages, and most importantly, letting you search through your images based on the content. It’s an insanely great product, but all of those features have been decried by some of the media over privacy concerns. Sure, Google lets you search through all of your photos based on the location, people in them, objects in them, etc., but that just means Google will be selling advertisements based on your photos, right? Google Photos does a lot of really great things. First, you can upload your entire library of photos and videos for absolutely free. Have 1 TB of photos? Free. 1 GB. Free. In a world where Apple charges users $2 per month for an additional 15 GB of iCloud storage, free is pretty amazing. Of course, free has its limits (16 megapixel images and 1080p video), but for the vast majority of users, Google Photos will more than get the job done for free. If you are a professional photographer or you just want to have full quality copies of your images on Google’s servers, then you can upload at full quality using your Google Drive storage (which is super cheap at $2 per month for 100 GB and competitive at $10 per month for 1 TB).It’s not just all the storage that’s a big deal, though. The problem with pretty much every online photo service is that they let you get all of your stuff up there, but it’s still up to you to organize and catalog it. Some people like that (I used to love adding metadata to my iTunes library), but with pictures and videos, you are dealing with a ton of data that isn’t quick to categorize because it is not obvious how to do so. Should you organize photos by date, location, event, or just scroll until you find something? Google takes care of this for you by giving you the power of Google Search for your photos. You can search for the place you took a photo, person in it, a particular object, or the date, making the task of finding photos so much easier. Google also makes GIFs out of burst shots, which brings life to moments that otherwise made me want to try and pick the best shot and lose the rest to the ether. It’s not all GIFs and rainbows, though. There are videos, too. Google Photos automatically makes compilation videos that you can edit with different music and clips. During the upload of my priceless memories, Google made a music video out of the videos I took Christmas morning two years ago. I sent it to my family, which illicited responses like “I just died. I watched it three times,” and “I’m tearing up in public. This is too good.” I think I removed one clip and adjusted the music. Google did the rest. I would have probably gone back to watch those videos again, but I wouldn’t have put them together like that and I probably wouldn’t have felt compelled to share them with my family, which means those moments, despite their documentation, would have been mostly lost to them. That’s the key to realizing what Google is offering here. It isn’t just free (or affordable) storage. It isn’t just a pretty app. It isn’t just the ability to quickly and easily categorize your photos. It’s the ability to relive and share memories in a way that requires little to no effort on my part at tremendous reward. No one else is offering this. Not Apple, not Samsung, not Dropbox, not Microsoft, or any of the myriad of failed and purchased photo services. Google nailed what Photos is about. Go take pictures and we’ll bring those moments back to life. Ignoring that Cook incorrectly alleges that Google is going to advertise against your photos, he has a good point, right? Google is just out there trying to trade our personal data for services instead of selling them to us for an honest dollar like Apple does. Except for one small detail: the kind of services Google is offering can’t be purchased for money. No one is selling something like Google Now. You know why? It’s not because Google has all the good engineers on their payroll. Apple can’t sell you something like Google Now because Apple doesn’t have access to your data and they never will. You need personal data to have something like Google Now, where a computer uses information it already has about you to guess what other information you might like to see without you asking for it. You would certainly never see anything like Now on Tap, because that would violate the users’ privacy (maybe you could see a local version of Now on Tap that never leaves your device like fingerprints on iOS, but that may limit its use too severely). Let’s take these privacy fears seriously for a moment, though. Google is not planning on using this information to sell advertisements, but let’s suppose they did decide to sell advertisements against photographs using their free tier. What would the result be? Google would use that information about your photos to sell you targeted advertisements. You would then have advertisements based on a huge swath of information about you. Creepy? A little, but also potentially very useful. Google would know, for example, that every year you have a family trip to Georgia. Maybe shortly before that trip, Google shows you advertisements for ticket deals. Google would know that you have been taking pictures of different houses as you go house shopping and shows you advertisements for realty agencies, or furniture, or moving companies. Again, creepy? A little, but potentially helpful and certainly superior than seeing random advertisements that have nothing to do with anything you care about. There will always be products that are sold for money and others that are sold for your information. The question is, who do you trust? Are you willing to see more personalized advertisements in exchange for being able to just type vacation 2007 and seeing all those photographs instantly without any organizational work on your part? Right now you are not even seeing ads for that, but that’s the “nightmare” future we are worried about. Google is not using this information to track you down and kill you; they are selling advertisements. Personally, I think there is value to seeing advertisements for things that I actually like. When I watch Broad City on Hulu, I see ads for the Lexus IS and some Mountain Dew energy drink. I feel like those are for slightly different demographics (although admittedly I love the grill on the IS and my wife and I dance whenever that song comes on from the Mountain Dew commercial, so maybe Hulu knows me better than I know myself). A good advertisement might get me to buy something, or at least consider it or make me feel nice things about a company (which is not a person no matter what our government says). Having better ads that are actually appropriate for me sounds like it might be a good thing, especially on top of these computing services that know me and can help me get things done faster and better than I ever could before. I hope Google doesn’t ever sell advertisements against my photos. I’d rather those stay private forever, but I would definitely consider having those advertisements so that I can instantly find a picture and have compilation videos made for me to relive my favorite moments. That’s worth a lot to me. 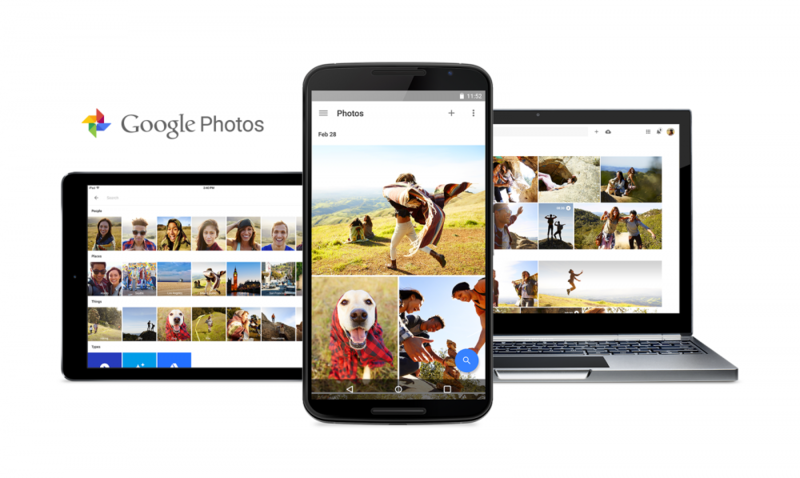 Let us know in the comments if you are using Google Photos. If you are, what do you like about it? If not, is it because of privacy concerns or are you just happy with another product? If you’re not backing up your photos, shame on you.